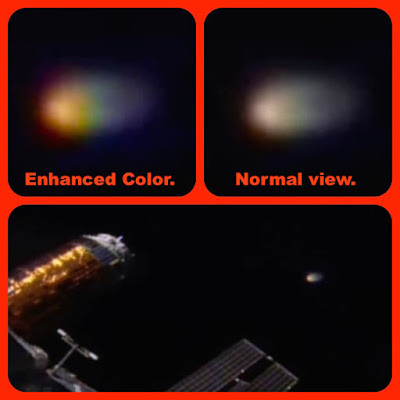 UFO SIGHTINGS DAILY: UFO Disk Near Space Station On Live HD Cam, Aug 31, 2015, Video, UFO Sighting News. 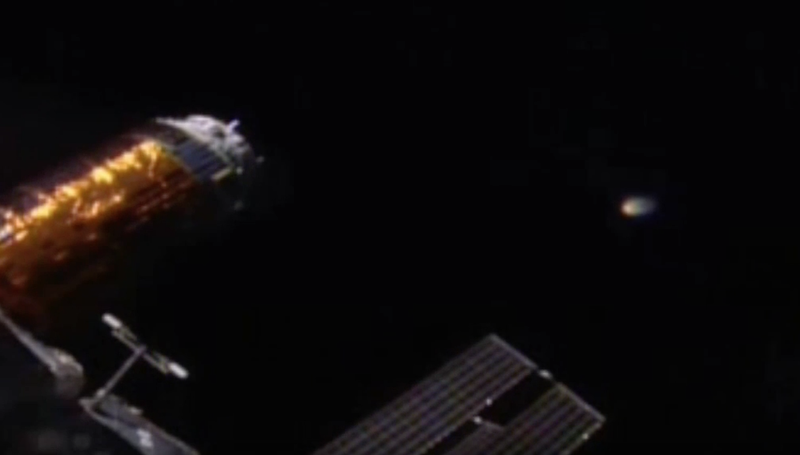 UFO Disk Near Space Station On Live HD Cam, Aug 31, 2015, Video, UFO Sighting News. Location of sighting: Earths orbit at space station. This UFO caught by Streetcap1 of Youtube has really great detail. The disk comes very close, about 75 meters away from the station. The disk itself is big. About 7-9 meters across. 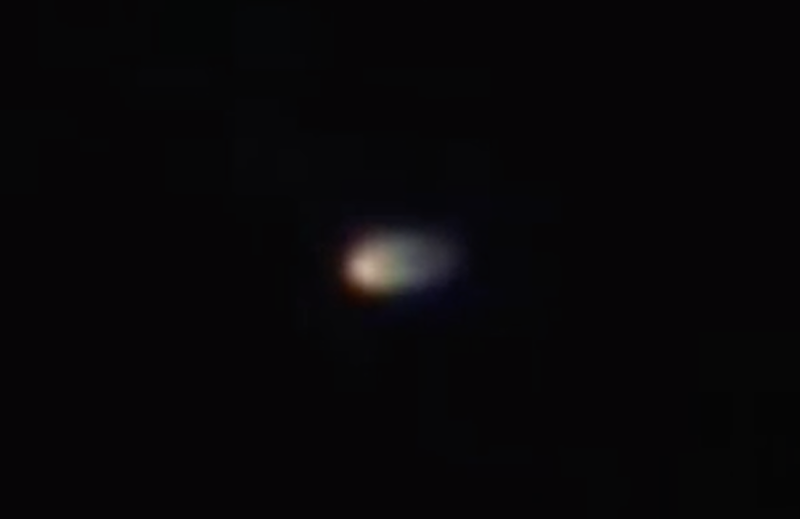 The light reflecting off of the UFO is also really brilliant. The UFO realizes its been noticed and it slowly moves backwards into the darkness.